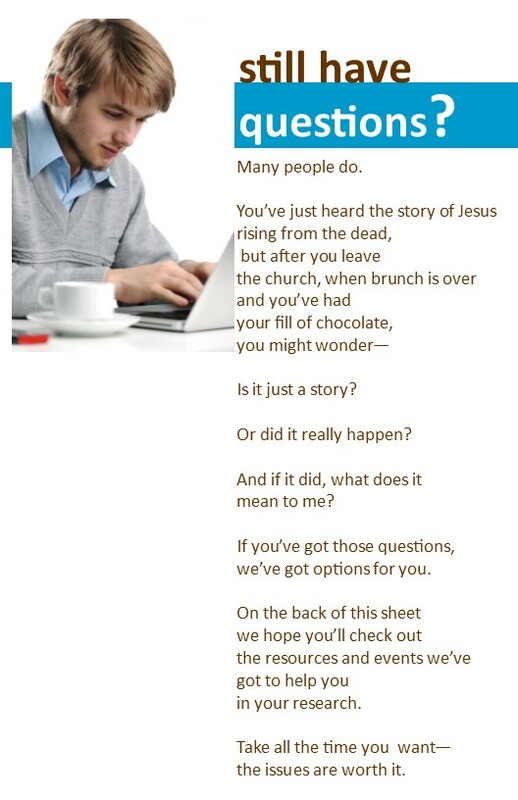 Denominational websites that have material for those seeking information about the Christian faith. 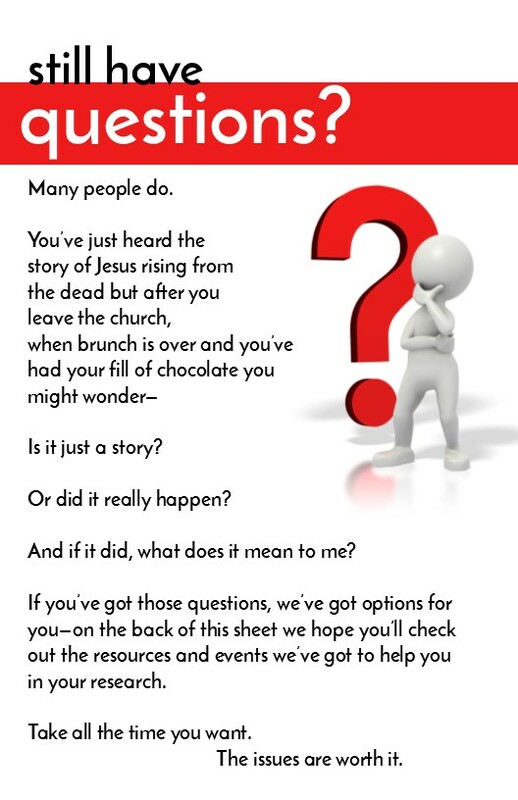 Email addresses of pastors or people in your church who would be willing to discuss spiritual issues or answer questions. 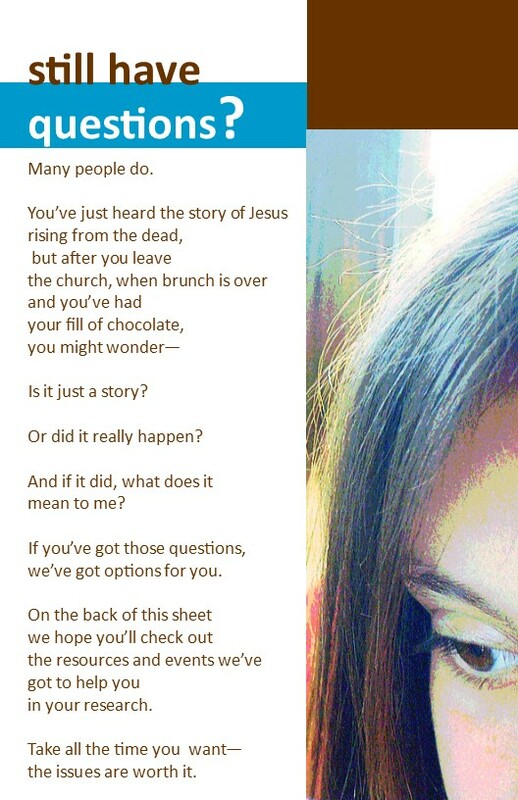 Copy and paste the text below or modify it to create your own insert or website or card or whatever you choose to encourage people to explore the Christian faith after Easter. 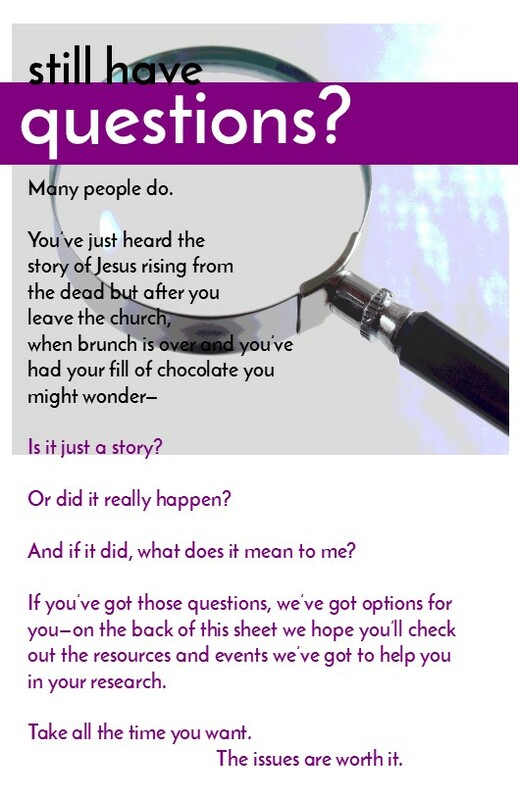 You’ve just heard the story of Jesus rising from the dead but after you leave the church, when brunch is over and you’ve had your fill of chocolate you might wonder—Is it just a story? If you’ve got those questions, we’ve got options for you—on the back of this sheet we hope you’ll check out the websites and events we’ve got to help you in your research. You have an incredible opportunity to interact with unchurched people who come to your church at Easter—please make the most of it for the sake of their eternal destiny.